The Hub » Welcome to the new ShotDeadInTheHead! Welcome to the new ShotDeadInTheHead! Welcome to the brand new ShotDeadInTheHead shop! 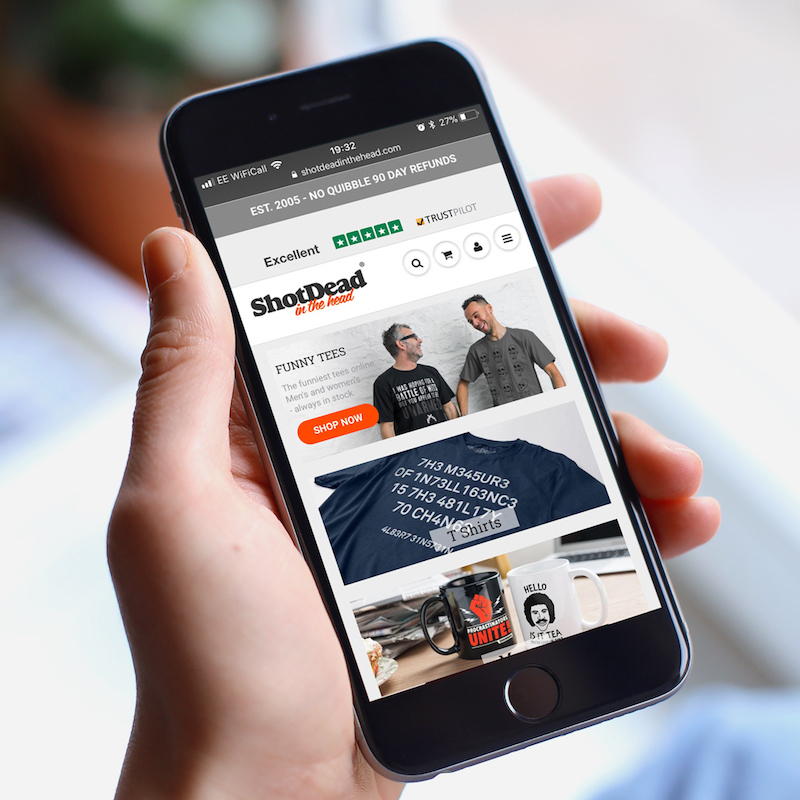 We've been beavering away in the background since the end of last year in order to substantially upgrade your favourite online destination for funny t shirts, mugs and hoodies. And we think you'll really like what we've done. We now live on Shopify - the world's fastest growing and best e-Commerce platform. This means that your shopping experience with us is so much better, faster and slicker than it was - it's a win-win! We hope you find everything to your liking too. All of your favourite tees are still here and we'll continue to add in new brilliant funny t shirts, mug and hoodies each week. You can check out the recent arrivals here. Enjoy the shop on your mobile phone and tablets too - it looks spectacular now! Thanks for continuing to promote ShotDeadInTheHead - you guys are the best!